Santa Fe is recognized worldwide for its rich culture and diverse art community. The city hosts over 250 art galleries as well as a variety of museums and performing arts. Art collectors come from all over to buy fine Native American, contemporary and western pieces. Visitors can easily stroll from gallery to gallery along the ancient streets and attend any of the traditional Friday night gallery openings. The city also hosts an array of art markets and festivals, such as the International Folk Art Market and Spanish Market that take place in July or the renowned Indian Market in August. The Objects of Art Show, which features 70+ exhibitors, with materials ranging from contemporary to historic, runs in August. ​In terms of dollar sales, Santa Fe is among the largest art markets in the U.S. according to a study by the University of New Mexico's Bureau of Business and Economic Research. The more than $800 million that arts and culture tourism bring into the community may account for as much as 39% of the total inflow. Arts and culture industries bring more than $20 million in taxes and other revenues to the city - about $5 for every $1 the city spends on arts and culture. Santa Fe boasts the largest proportion of artists, performers and writers as a share of local employment of any U.S. city. ​A southwestern art mecca, Santa Fe has begun to expand thanks to artists and entrepreneurs. 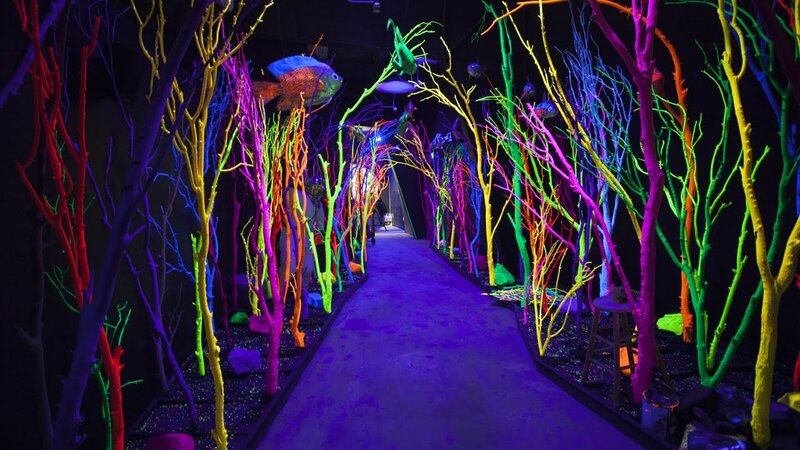 Meow Wolf, located in a converted bowling alley, has received national media attention for its immersive collaborative art experience. Currents New Media provides the community with opportunities to experience new media in traditional venues as well as public and outdoor spaces. Famous Game of Thrones co-executive producer George R. R. Martin has recently bought and restored a 128-seat, single-screen theater showing old, independent, cult and classic movies. In its sixth year, Santa Fe Fashion Week, grows bigger and bigger every year.